Rep. Vermont Paddle Company in style with a VT Paddle Co. T-shirt. Absolutley adorable! I got this for a baby shower gift and was nervous it wouldn't arrive in time but it was shipped right away and delivered with plenty of time! Thank you! 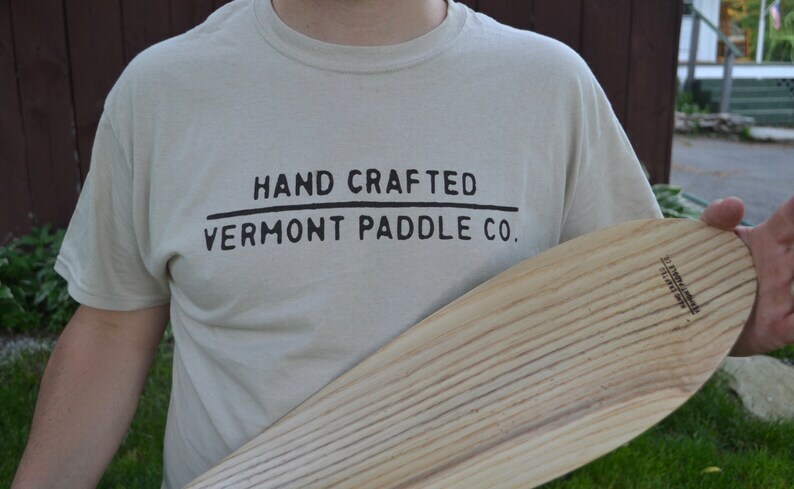 Cliff did a tremendous job on this paddle! He was prompt to communicate on this custom order. It is absolutely beautiful to look at and such a smooth hold. Hoping for a nice fall day soon here to take it out. Absolutely beautiful! My husband is a Vermonter (and active duty military so not close enough to visit) and loved this! Excellent craftsmanship and quick delivery! 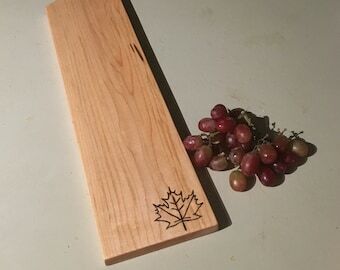 I ordered and received the meat and cheese board for a Christmas present for my husband. They both look stunning and can't wait for him to open them. The owner was always quick to respond with questions and communication. Thank you for your time on there and talent.